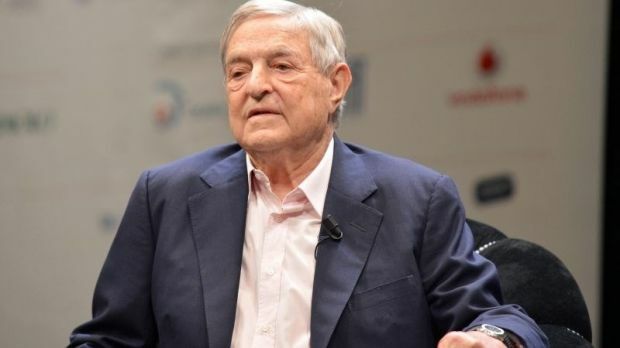 The New York Review of Books has published an article by financier and philanthropist George Soros calling on the West to take a new position on both Ukraine and Russia. According to Soros, the sanctions imposed by the West against Russia have been more damaging than anyone could even imagined, mainly because of the rapid fall in oil prices, Ukrainian newspaper Europeiska Pravda reported on Thursday. "…It would not be surprising if, before it runs its course, this crisis ends up in a default by Russia,” Soros writes. “That would be more than what the US and European authorities bargained for. Coming on top of worldwide deflationary pressures that are particularly acute in the euro area and rising military conflicts such as the one with ISIS, a Russian default could cause considerable disruption in the global financial system, with the euro area being particularly vulnerable. The long-term proposal put forward by Soros has six points. Each of them can be implemented entirely or partially and independently of the others, he said. Firstly, the undistributed funds of two European aid funds, which currently can be used only by the EU member states, must be unlocked for Ukraine. Soros proposes to allow them to lend Ukraine directly or through a mechanism of macro-financial assistance. As of today, these funds have more than $60 billion that is not being used by the EU states. Secondly, the IMF credit line should be increased by $13 billion, and the program must be converted from the current Stand-by format into a long-term Extended Fund Facility format. Thirdly, the line that is allocated to Ukraine by the European Investment Bank should be at least $10 billion. Fourthly, there should be long-term credit lines from the World Bank and the EBRD in the amount of about $5 billion. Fifthly: the existing public debt of Ukraine should be restructured. And sixthly, the payment of Russian bonds in the amount of $3 billion received by Kyiv during the reign of the former Ukrainian President Viktor Yanukovych, must be restructured or supported. Soros warned that if nothing were to be done, it would cause more problems not only in Ukraine, but in Russia as well.